And just in case you’re curious, my current obsession is a Negroni. Here’s a few things I love about a sidecar. 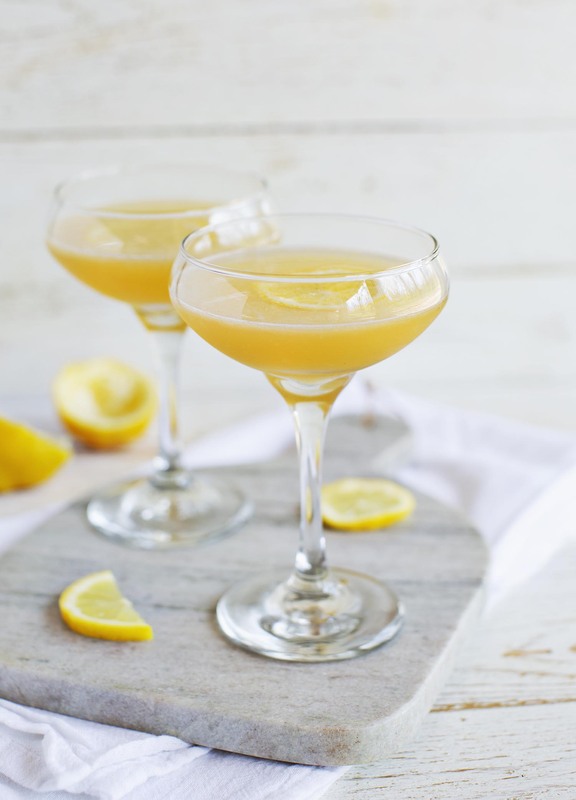 First, it’s a classic cocktail, so it’s something you can order at pretty much any bar that does cocktails well (meaning, not just mixed drinks). It’s incredibly refreshing and just the right amount of sweet. 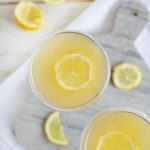 An excellent spring/summer cocktail for sure. Plus, it’s SUPER easy to make. It’s only three ingredients but still manages to feel really special. When I make this at home, I usually keep it classic (simply follow the recipe below). But you can also change it up with just a dash of bitters or garnishing with a Luxardo cherry. 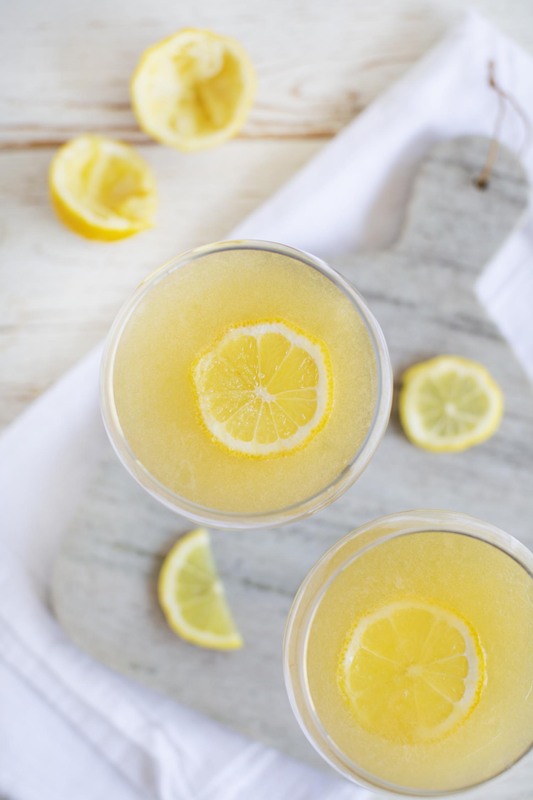 And if you thought you had lemons but find you only have limes, oranges, or grapefruit, that can work well in a pinch, although the final flavor will be different. 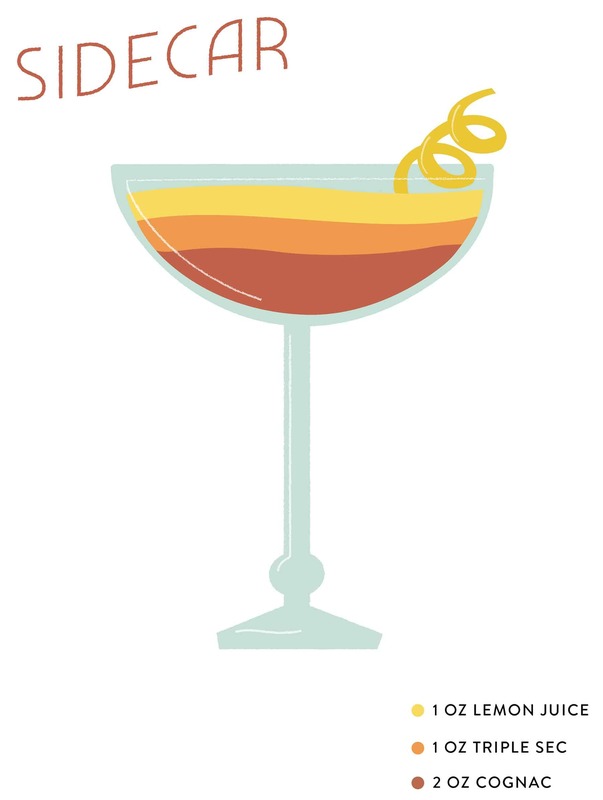 We have also decided to add these adorable AND informative illustrations of some of our classic cocktails to our posts. 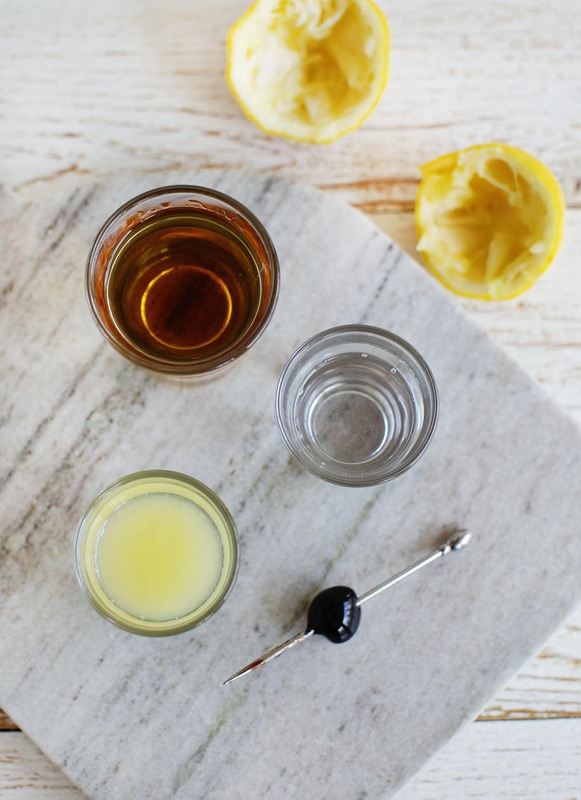 In a cocktail shaker filled with ice, add these ingredients. Shake well, until your hand begins to freeze to the shaker. Strain into a coupe or martini glass. 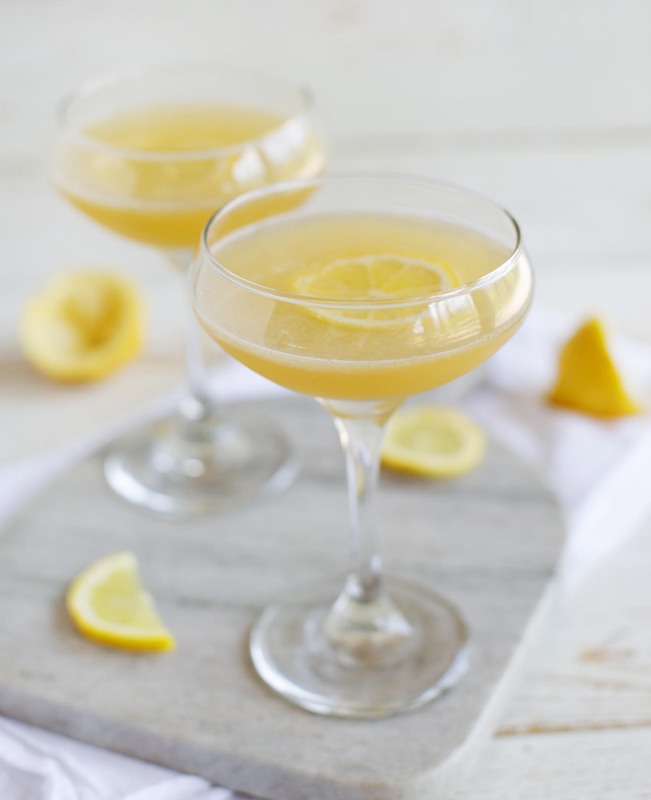 Garnish with a lemon wedge, twist, or Luxardo cherry. If you want to jazz this up a little, add a dash of bitter before shaking. You can also substitute the cognac for brandy or even bourbon if that’s more your speed (aka what you have on hand). Credits // Author and Photography: Emma Chapman. Illustration: Mara Dockery. Photos edited with A Color Story Desktop.